To know everything in skin care is a hard task because those cosmetic companies always try to create terms which make it even complex. 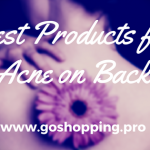 When you think you already prepared everything in a typical skin care routine, it is easy to come across a new product that you never heard about and you will wonder if you need to include it into your kit. 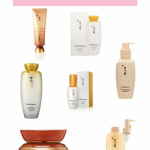 For example, when you shop at a K-beauty store, you will find a lot of products called emulsions. What is an emulsion? How to include it in your skincare routine? I will break it down for you. 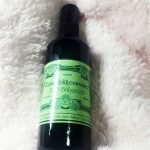 How to include an emulsion into skin care routine according to your skin type? In chemistry, emulsion always refers to a mix of oil and water. As you know, water and oil are hard to get together. Hence, we have to use something special to link them and this unique ingredient is called “emulsifier”. However, I am not going to teach you chemistry class today and let’s jump to the world of skincare directly. In the video below you can learn what is an emulsion in chemistry. The function of an emulsion is to provide moisture and lock the nutrition so that it belongs to the camp of moisturizers. Different from creams, emulsions is lightweight and fluid. You can simply call it a light version of creams. The majority of emulsions are water based and the consistency is watery or like a gel. Usually, the formula of emulsion contains as much as you need for a cream but it shows its magic in a light way. It is absorbed quicker and blends better with makeup. However, it is possible that your skin will not get enough moistures depending on weather and your skin type. You can’t replace serum with emulsion, but you can replace your facial creams with it in some circumstances. Now, you may wonder what is the difference between lotion and emulsion, right? The truth is the lotion is thicker than the emulsion in most cases. In brief, the order of thickness from high to low is cream, lotion, and emulsion. When you know what is an emulsion, the next step is to know how to use it. As a kind of moisturizer, emulsion stays at the end of skincare routine. After applying serum, you can choose an emulsion or a cream to finish your routine or you can use both of them together. If you are an oily skinned girl, how to control sebum and how to get enough hydration may annoy you for a long time. When you use a typical cream, your skin always feels it is hard to breathe. Luckily, you read this post and you should give an emulsion a try. The lightweight consistency will not cause any burden on your skin but they still can offer you enough moistures. Even better, it is not going to make your skin greasy. Note that hydration is very important for oily skin as well because the lack of hydration will turn out to trigger more excess sebum. You may think the toner and the serum already provide enough hydration for you, however, without something to lock them, their effect will just disappear in the air. Hence, even though you can replace your heavy face cream with emulsion, but you can not escape the step to offer and keep water. The[amazon link=”B0191QJU5Y” title=”Chia Seed Hydrating Emulsion” /] from The Face Shop is an affordable and suitable choice for oily skin. The main effect of this emulsion is hydrating your skin by using chia seed. In addition, it is free of paraben and mineral oil so that it is also a great choice for sensitive skin. People with combination skin are easy to get breakouts. In summer, the skin feels greasy but in winter, the feel just feels stripped as other people with dry skin. As a girl with combination skin, what I do always is using an emulsion in Summer and using a cream in Winter. Besides, I tend to use an emulsion instead of a cream when I visit a humid place which will give my skin more freshness. In terms of formula, products that not only provide moisture but clean pores and control extra sebum would be perfect. The[amazon link=”B01EHJQD3W” title=”Laneige Essential Balancing Emulsion” /] is a classic product and obtains high reputation in Korea. It contains vitamin B3 and ginger extract to remove dead cells and keep your pimples at bay. The hyacinth extracts in the ingredient list help to prevent your skin from pollution and heavy metal. On the whole, this emulsion will give your face a smooth and clean finish. Besides, they offer light and moisture version. Therefore, you can use light version in Summer and moisture one in winter or at night. 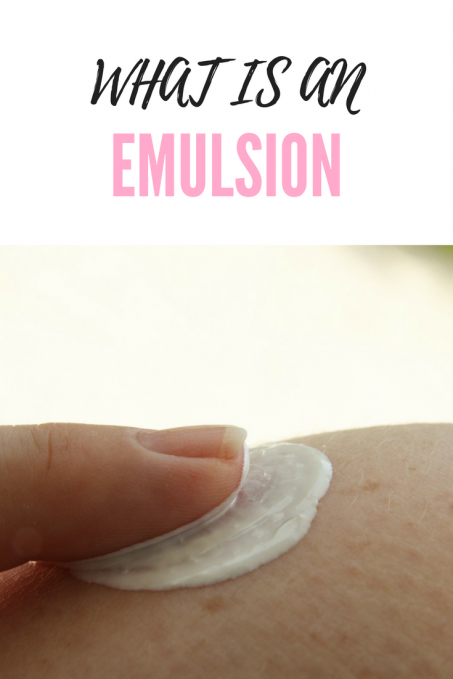 When it comes to dry skin, the emulsion can be used in 2 ways. Use as a replacement for face cream: If you live in a hot and humid place, using an emulsion would be a great choice. However, dryness is still a problem so that for dry skinned girls, an emulsion with richer contexture and contains lots of moisturizers would work to keep higher moisture level. However, in the winter, it’s better to use a face cream still. The [amazon link=”B016VTJ2XO” title=”Etude Moistfull Collagen Emulsion” /] contains collagen to make your skin moisturized and bouncy which can help to solve your dryness problem. Use it before a cream: For someone with extremely dry skin, the emulsion can work as a plus for face cream. 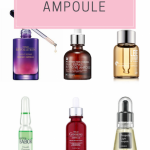 After applying serum or ampoule, you can add a layer of emulsion then continue to use a face cream. In this way, your skin will get a double lock so that all the properties will stay quiet within your skin for the whole day. It is a smart idea when you live in a very dry area. Now, you must have an idea about what is an emulsion and how to use it. As a light version of face cream, emulsion works great in hot and humid weather. It is also a godsend for oily skin even in winter. Plus, dry skin will love it and can use it as a double lock for active properties. In a word, individuals with any skin type will find its way to use an emulsion.